Sanguine is a Management Consulting and Advisory Company with specialized services in Project Management, Entry Strategy Advisory, Natural Gas Demand Assessment Studies, Impact Assessment Studies, Monitoring and Evaluation Studies, Socio-economic Studies, Institutional Strengthening, Project Feasibility Studies, and other Management Consulting areas. We work with the governments, corporate, private agencies and not for profit organizations. Our team has expertise in sector and areas like Natural Gas, Health and Nutrition, Forestry, Horticulture, Education, Environment, Steel and Power, Renewable Energy, Public Enterprise Reforms, Organization Restructuring, E-governance, Public Private Partnerships, Food Processing, and various manufacturing industries. 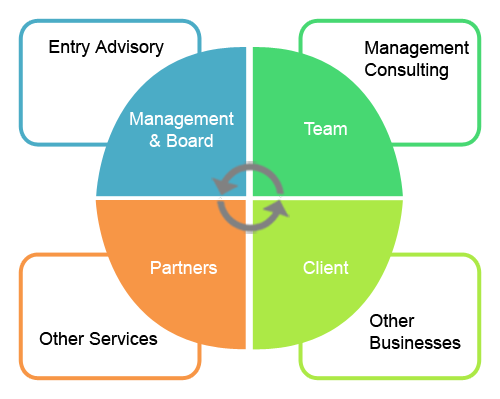 We have an excellent team of experienced resources from the premier institutions like business management, engineering, sector experts, project management experts, management team and Board of Advisor’s are veterans from the industry and sectors. Sanguine is well positioned with professionals coming together from various domains to bring their proven skills and expertise in multidimensional functional areas. The company is well blessed with consortium and the advisory Board having strong academic background and diverse exposure at corporate and development sector. In addition, Sanguine has formed a strong collaborative network of partners and experts from academia and practitioners to bring in complementary skills to service clients across wide social sector domains and business interests.